NO I'M NOT A NAKED MOLE RAT WITH HAIR! 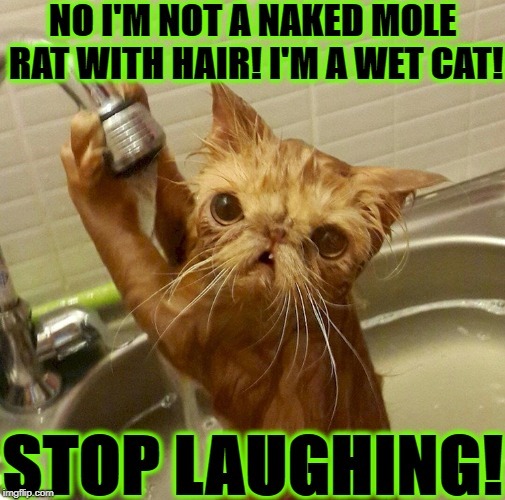 I'M A WET CAT! STOP LAUGHING!